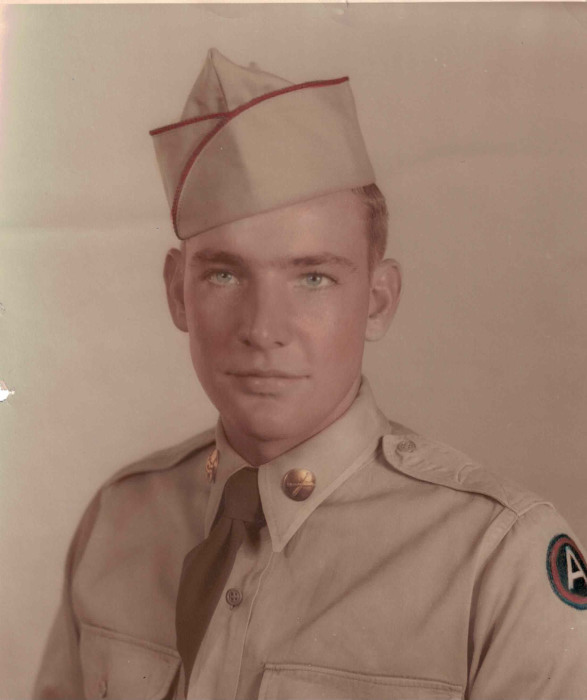 Eldon D­­ean Atkinson, age 88, passed away peacefully at his home in Clarkston Utah surrounded by family on Friday, February 8, 2019. He was born August 16, 1930 in Logan UT. He graduated from North Cache High School. He was drafted into the Army in 1950 during the Korean War, serving his time in Germany. He received an honorable discharge in 1952. Dean married his sweetheart Marilyn May on February 23, 1954. Their marriage was later solemnized in the Logan LDS Temple in 1964. They were set to celebrate their 65th wedding anniversary. He had a tremendous work ethic. He worked at the U and I Sugar Factory in Garland for more than 20 years. He also took pride in and loved being a farmer his entire life. Dean and Marilyn were members of the Clarkston Riding Club, in which he won many awards doing various events. The riding club provided them with a lifetime of memories and everlasting friendships. Dean is survived by his wife, Marilyn Atkinson of Clarkston; by his children, Stanley (Julie) Atkinson of Smithfield, Utah; Randy (Shelli) Atkinson of Clarkston, Utah; Lesa (Ken) Boyce of Pleasant View,Utah; Lari (Chris) Chambers of Smithfield, Utah; by eighteen grandchildren, thirty-seven great-grandchildren, six great great-grandchildren, by two brothers Lynne Atkinson of Preston, Idaho and Rex Atkinson of Lehi, Utah. He was preceded in death by his parents William and Edna Schvaneveldt Atkinson and by a sister, Vera Tippetts. Dean was recently honored by the Honor Salute Team with a Certificate of Appreciation for his Military service. It was a night that will not be forgotten soon. Three generations were in attendance for this wonderful event. We are so proud of his service and are appreciative of the opportunity to celebrate him. He loved the time which was spent with family and adored having his grandkids around. Dean loved attending and watching rodeos on tv. He never passed up a good auction and everyone knew him as Deano. We are eternally grateful for the compassion and care that was given by our sweet mom. The family would also like to express their gratitude to the Hospice nurses, especially Hollie. She was such a comfort in those final days. One of Dean’s many great attributes was his Christlike unconditional compassion and never said a bad word about anyone. He had a special gift for making each grandchild feel like they were his favorite. Dean left a great and everlasting legacy. He will fondly be remembered by his family. We love you dad and look forward to seeing you again.